Today finishing my translation of this interview from RIA Novosti in which Nicolás Maduro, the President of Venezuela speaks with Russian journalist Dmitry Znamensky. As I mentioned before, the interview is in Russian, and I don’t have the Spanish original. Even if I did, I wouldn’t be able to translate it, as I don’t really know Spanish all that well (despite living in a bilingual country!) Just stipulating that my translation is third-hand, at best: Spanish to Russian to English. It’s okay, though, this is not exactly a poem of Pablo Neruda. Anyhow, where we left off, Maduro said he was happy to have American companies invest in Venezuela, and had no intention of kicking them out. The economic attacks all come from the other side. I reckon this is an example of the Chavez/Maduro “mixed economy approach”, in which a nation’s economy is half-capitalist and half-socialist. There are certain advantages to that approach, obviously. The downside is that, the mixed economy can also lead to a dual-power situation, as we see now, in which two different economic classes claim to be the real government. It causes political instability and makes a country highly vulnerable to such an unscrupulous player as the United States of America. Meanwhile, in a hysterical act of hypocrisy, and earning at least 5 Molières for his effort, the French President Macron has criticized Italian politicians Matteo Salvini and Luigi Di Maio for supposedly intruding into internal French politics. The Italian duo verbally supported the mass French protest movement, the Gilets Jaunes (“Yellow Vests”). Monsieur Micron, he of the tiny spine, who enjoys a mere 36% approval rating, is outraged that an outsider like Di Maio has the gaul [little pun there] to tell him what to do. But sees nothing wrong in dictating terms to Venezuelan President Maduro, all the way across the ocean! Maduro doit partir! Yeh! Still more evidence, if any was needed, of France’s sad decline from a great European nation, to a mere flea on the back of the American dog. Z: Guaidó promised the military, that if they go over to his side, they will get amnesty. What is the situation in the armed forces, given this proposal? Are there those who are in disagreement with your government? M: The theme of the armed forces is a delicate one for any country. Call are coming from the White House, for our military to take up their weapons and refuse to recognize me as their Commander-in-Chief, as the President of this Republic. And the right wing in Venezuela — this has never happened in any other country — have called upon the military to raise an armed rebellion, to overthrow the government. This has never happened before in Latin America. 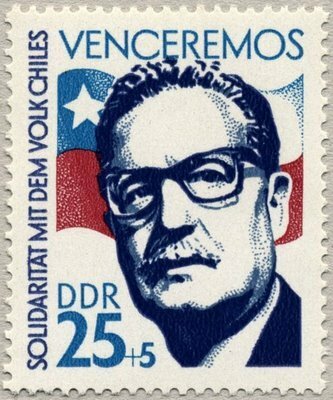 In the 20th century there were over 100 coups in Latin America. But never, despite the fact that all these coups were prepared and carried out by the American Empire, by the USA — never, neither the (American) President, nor the Secretary of State, nor any high-ranking official, ever called for the armed coup. When Pinochet carried out his coup in Chile, the government of the United States supported the coup after the fact. But never would Nixon have ever stated, “There should be a coup.” This is happening for the first time in history. And this speaks to the desperation inside the White House. They can’t do anything with Venezuela. What am I doing in this very delicate situation? I am carrying out my duties as the Commander-in-Chief, according to the Constitution, pulling together the national Bolivarian armed forces. And the Bolivarian armed forces are teaching us a lesson in morality, loyalty, and discipline. We shall win a great victory, we shall consolidate stability, peace, and loyalty in Venezuela. Z: You have mentioned a possible dialogue with the Opposition. Who might be the mediator, if this dialogue should take place? M: There are several governments and organizations in the world, who have demonstrated their sincere concern for the events taking place in Venezuela, and they have called for dialogue. The governments of Mexico, Uruguay, Bolivia, Russia, the Vatican; several European governments support attempts at dialogue. I am sending out official letters calling upon them to support dialogue in Venezuela, — wherever they want to meet, and in whatever format. I am prepared to sit down at the negotiating table with the Opposition, so that we can discuss what is best for Venezuela, for her future, and for peace. Z: Has any country responded to these outreaches? M: At this stage it is just private conversations, telephone conversations among presidents, heads of Foreign Offices. Our Minister of Foreign Affairs is very active. We are hoping to get some results in the next few hours. Z: Your government has requested economic assistance from Russia and China? M: We have good financial relations with China and Russia, and those relations will develop further (in the future). Agreements about financial cooperation in the area of wheat, for example. They lend us money, and we pay back on time. Russian wheat was always popular in Venezuela, and this collaboration leads to food independence (for us). China finances our oil industry, we are hoping for an increase in this Chinese financing in the next few months. We are counting on firm support from China and Russia in the economic development of Venezuela. Z: Can your government guarantee that any loans provided by Russia and China, will be repaid? M: Venezuela always pays its loans back on time.